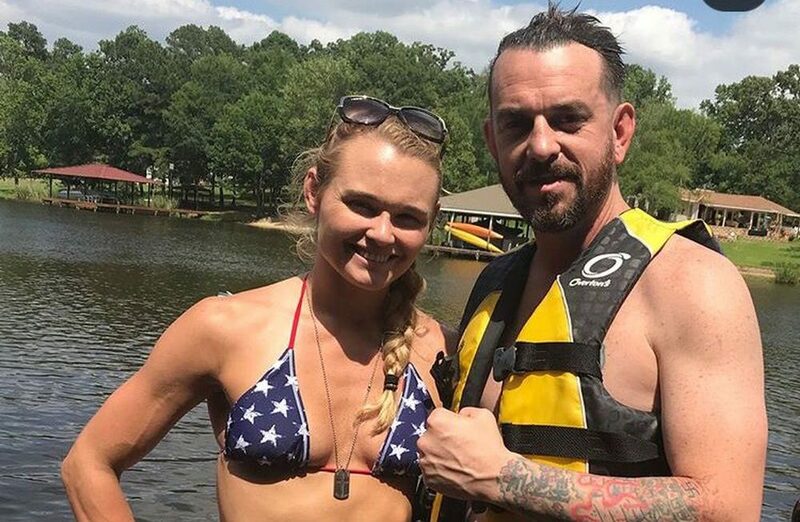 Donny Aaron — husband to UFC women's flyweight competitor Andrea Lee — will have a warrant issued for his arrest on a pair of domestic violence charges in Louisiana. Donny Aaron — husband to UFC women’s flyweight competitor Andrea Lee — will have a warrant issued for his arrest on a pair of domestic violence charges in Louisiana. Representatives of the Shreveport, Louisiana police department confirmed a warrant is ‘forthcoming’ for Aaron’s arrest after an incident was reported during the early morning hours on Aug. 5. MyMMANews.com first reported the incident. 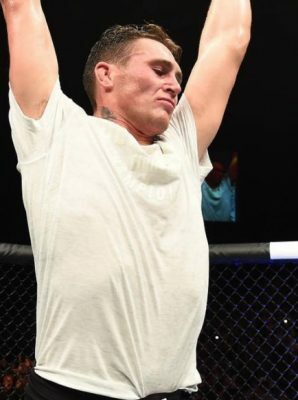 Aaron, 43, is being sought on charges of domestic abuse battery and false imprisonment after police were called to their home by fellow mixed martial arts fighter Andy Nguyen. According to the statement from Nyugen, Aaron and Lee argue regularly but this incident turned violent, which forced her to reach out to police to report what was happening. “They had been arguing all week. She couldn’t train because he kept her home. He wouldn’t let her leave. I didn’t call the cops until it got physical and I couldn’t do nothing anymore,” Nguyen said in the statement to police. Nguyen added that Aaron was allegedly attempting to burn Lee with a cigarette while also trying to choke her during the physical altercation. The police report shows that the incident took place at Aaron and Lee’s residence and a weapon of some kind was used. A warrant will be issued for Aaron’s arrest over the incident. This isn’t the first time Aaron has landed in the headlines for legal issues after he was convicted back in 2009 for negligent homicide after he shot an unarmed man seven times. Aaron claimed self-defense at the time of the shooting. Aaron, who was a former police officer, was originally facing much harsher charges but the jury ultimately lessened the penalty before sending him to prison. While he was awaiting trail for the homicide, Aaron was also arrested in a separate aggravated assault incident with an ex-girlfriend. Aaron landed in the public spotlight earlier this year when it was revealed he had a pair of Nazi symbols tattooed on his body. Aaron later explained that he got the tattoos while he was in prison but refused to cover them up or have them removed.